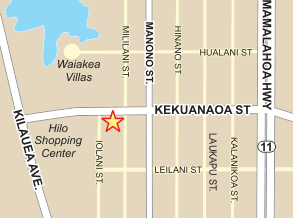 Why Choose Big Island Used Cars? With over 30 years of experience, our customer service can’t be beat! We don’t “sell cars,” we build relationships! Most of our customers are repeat or referred. We’re a true blue, “mom and pop shop" since 2007. When you speak to Don, Michelle, Brandon, or Katherine, you’re speaking directly with an owner of the business. Bad Credit, No Credit, No License, Self-Employed, Bankruptcy, and more…. We’ve been doing this for a while…. we can find a financing solution for nearly every situation. If your safety check and registration are current, we’ll take your vehicle on trade and count it towards the purchase of your next vehicle from us. Do you like to upgrade your vehicle every couple of years? Qualified buyers are eligible for lower monthly payment with the ability to turn their vehicle in every two, three, four, or five years for another.